OMCO XD SCUFF is engineered for truck or trailer fleets requiring extreme duty protection for sidewalls and flooring. 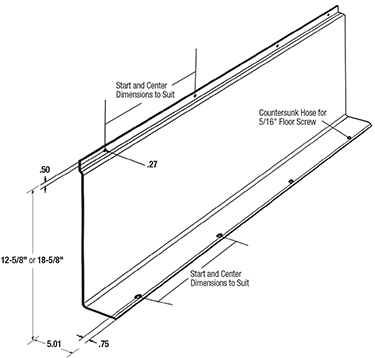 Full-length (non-welded) scuff has no seams to snag and all holes are countersunk to protect fasteners. 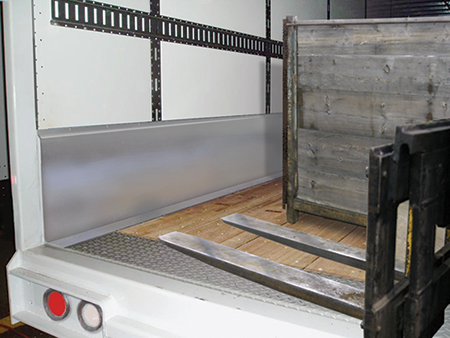 Protect your sidewalls and flooring from tow motor and steel container damage with OMCO’s XD SCUFF trailer scuff liner. OMCO XD SCUFF is available in 10 or 12 gauge galvanized steel to provide superior durability, maximum protection and long life. Designed to be a more rugged alternative to plastic, wood, aluminum or light gauge steel scuff. Eliminate the need to cut and weld multiple sections together. 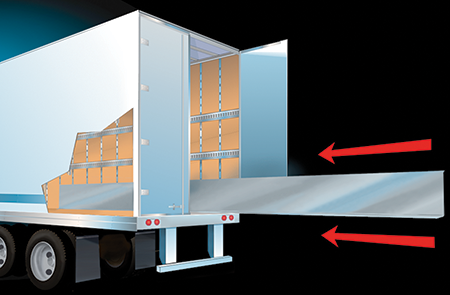 Order OMCO XD SCUFF in any length to perfectly fit your fleet of trailers. Select the scuff height that best fits your needs, either 12-5/8″ or 18-5/8.” Plus, customers specify both sets of hole patterns (starting point and center-on-center distance) with each order. Contact OMCO for minimum order quantities. OMCO XD SCUFF is a registered trademark of the Ohio Moulding Corporation.